Kästner’s "Emil and the Detectives." Photo courtesy of Australia’s Slingsby Theatre Company. Erich Kästner’s 90-year-old German novella Emil Und Die Detektive (Emil And The Detectives), a regular fixture on Indian bookstores’ classics shelves, now arrives on the Mumbai stage by way of Australia. The Adelaide-based Slingsby Theatre Company bring their adaptation of Kästner’s book to culminate the NCPA’s 2018-2019 Theatre Season. Translated into 59 languages, including Malayalam (C. Ammini Kutty’s Emilum Apasarpakanum) and Bengali, the book has been adapted for both film and stage several times. Its dark contemporary Berlin, with its underpinnings of intrigue, was markedly different from the fantasy-fuelled children’s literature of the time. It has been described as a precursor to Harry Potter and was a pre-Nazi book that escaped censorship, unlike many of Kästner’s other works that were burned during the time. Slingsby’s version premiered in 2017, and the ethos of Kästner’s storytelling fits in with their own preoccupation with bringing realistic ‘coming-of-age’ tales to the stage. This production has been scripted by Nicki Bloom, and is created in the “world-worn” aesthetic typical of Slingsby productions that allows them to transcend constraints of time and location and become universal tales of all times. The premise of the story is fairly simple—ten-year-old country boy Emil goes to visit his granny, who lives in big bad Berlin. He is robbed of his travel money en route but teams up with a band of young do-gooders in the city to track down the thief. The collaboration and networking between children puts together the pieces of the puzzle that adults are most oblivious to. The scope of the production is certainly epic—there are trains and streetcars, cityscapes and interiors, all in one swirling adventure. Likely lending itself well to this tale is the visual grammar Packer has helped create at Slingsby since the group’s inception in 2007—harnessing graphic design, illustration, photography, and video to create the Journey In Wonder for audiences that each of their productions aims to become. Prior to Mumbai, Emil And The Detectives has been staged at Delhi’s Siri Fort Auditorium as part of the Australian High Commission’s six-month-long Australia Fest, a festival of Australian culture and creativity across India that commenced in September 2018. 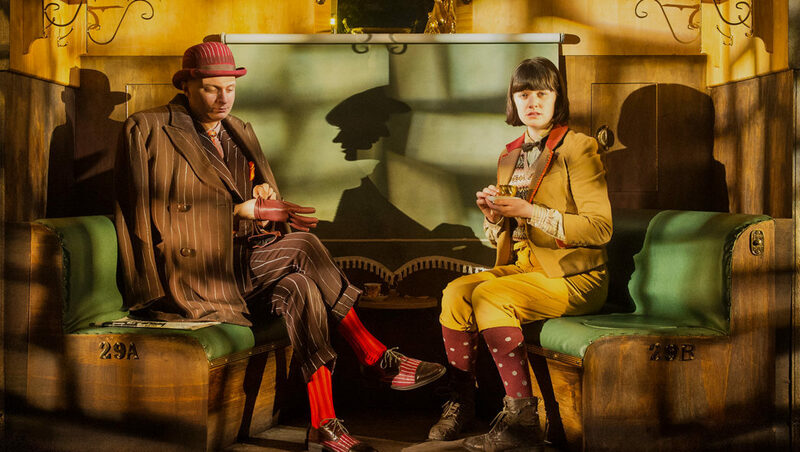 The India season for Slingsby comes at the heels of an international tour that has taken them to ten countries since the play opened, with more than 90 shows under their belt. In association with the Kolkata-based Think Arts, a team from Slingsby have also conducted a shadow puppetry workshop at Jaipur’s Jawahar Kala Kendra earlier this month. The NCPA’s announcement of its Theatre Season last year had been met with some circumspection in local theatre circles—all three showcased plays were to be helmed by international directors. 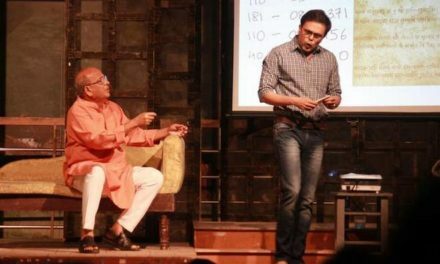 Negotiations with some Mumbai-based theatre-makers had reportedly fallen through. Since the departure of its programming head, Deepa Gahlot, the venue is struggling with what appears to be a crisis of direction. The first two plays of the current season, Constellations and Lucrece, opened last year. They were professionally staged, albeit ordinary productions performed by Indian actors who had undergone short but intense rehearsal schedules. Whether this predilection for international highlights will become the norm remains to be seen. The venue’s own Centrestage festival of premiering plays, a worthy property in itself, appears to have been scuppered to make way for them. Of course, none of this should detract from the joy of experiencing acclaimed productions like this one. 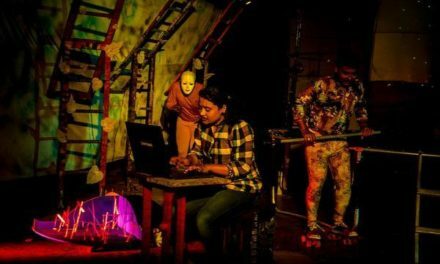 Emil And The Detectives will be staged at the Experimental Theatre, NCPA on January 19 and 20 at noon, 4 p.m. and 7 p.m.; see bookmyshow for details. This article appeared in The Hindu on January 17, 2019, and has been reposted with permission.